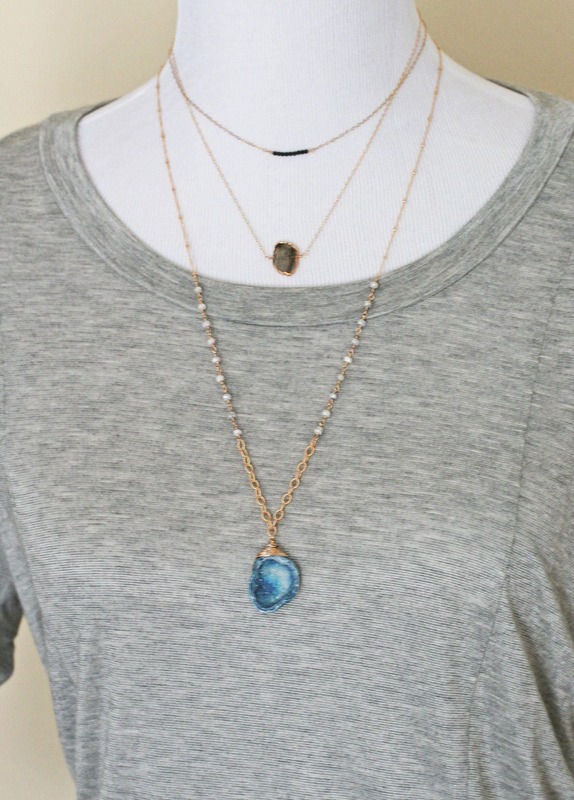 Simple Labradorite gemstone layering necklace to adorn your neck. 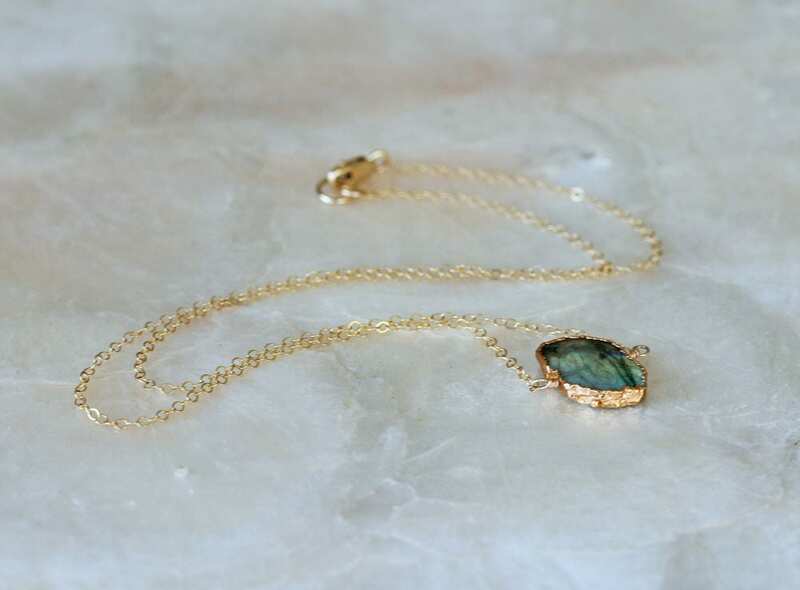 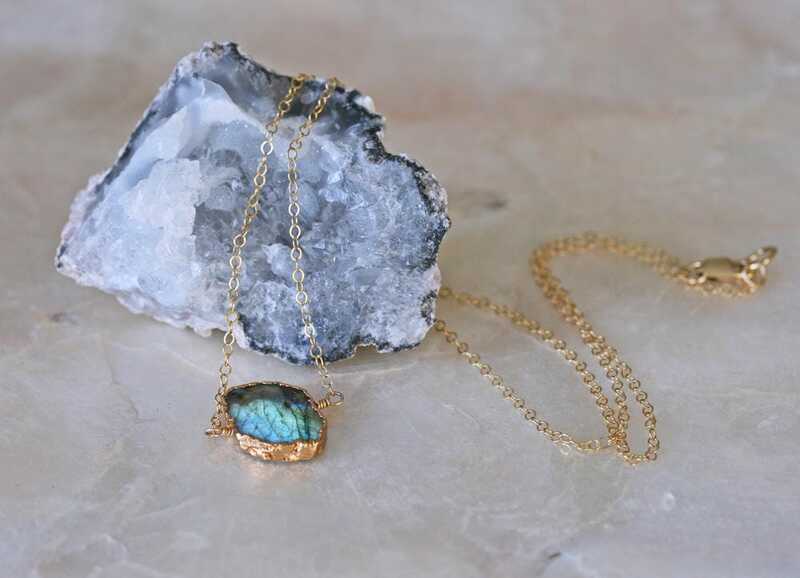 Green and blue stone that flashes in the light, leafed with 24k gold and suspends from it's chain with a tiny 14k gold filled twist connector. 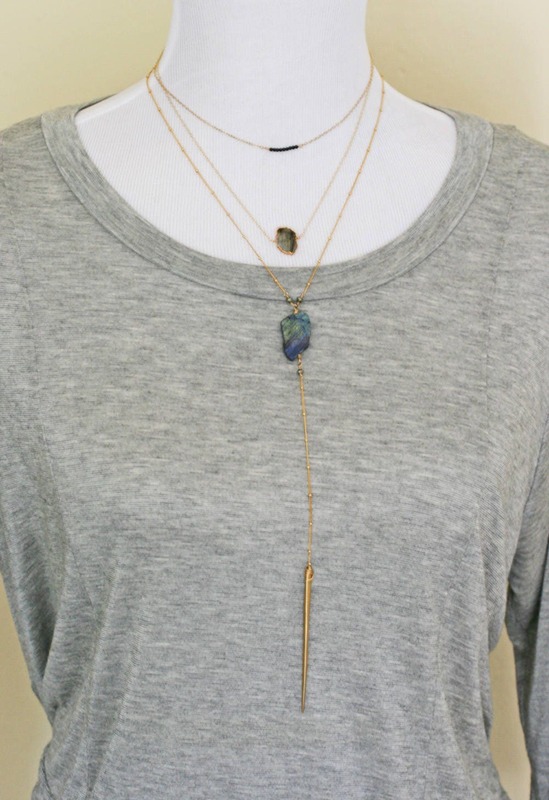 The chain is a quality, dainty 14k gold filled flat cable chain. 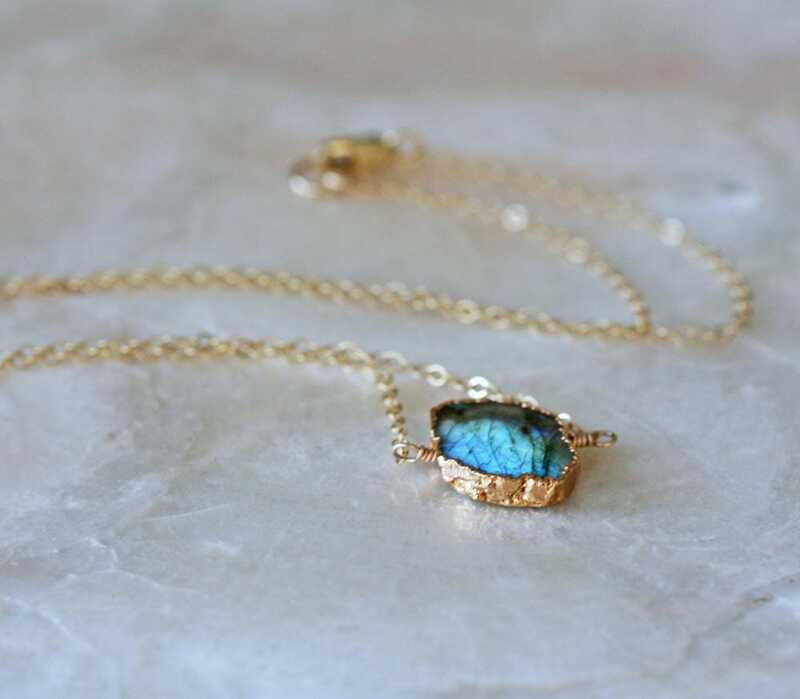 The chain is finished with a 14k gold filled spring closure. 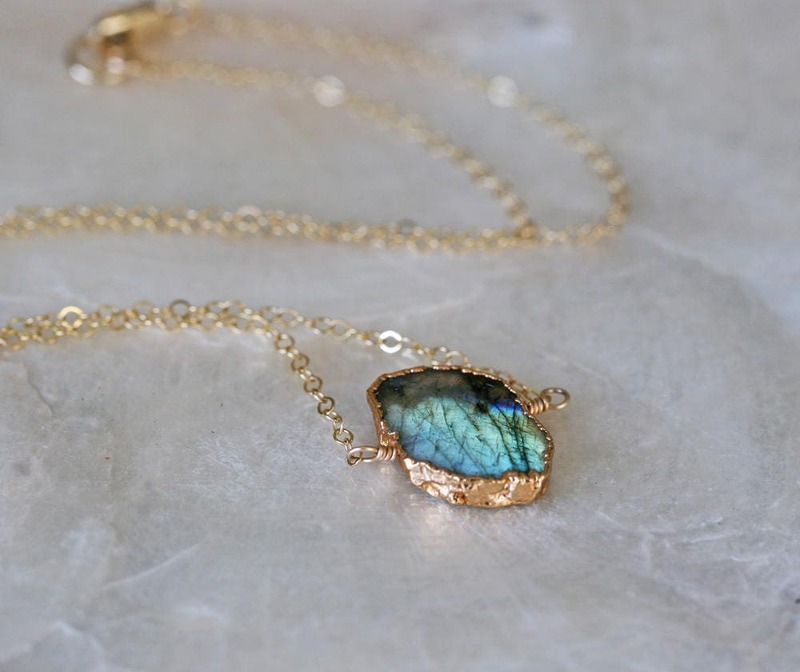 Listing is for Labradorite Layering Necklace only. 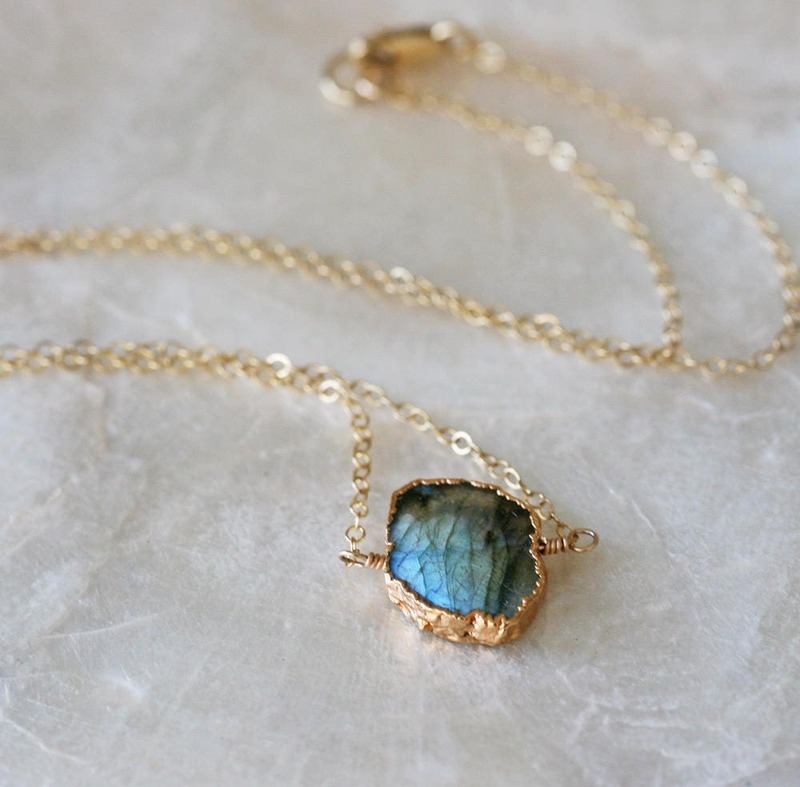 Please note: This labradorite looks like a translucent grey stone and flashes blue green in direct light.